Ole Kristian Dahl is one of the world's most renowned bassoon teachers and pedagogues. He is the Principal Bassoon at the WDR Symphony Orchestra of Cologne and professor at the Mannheim University of Music and Performing Arts. His dedicated and passionate teaching and woodwind coaching has led to a high demand of masterclasses around the world at institutions including the Colburn School Los Angeles, Royal College of Music London, National University of Seoul, Sibelius Academy, and Nonaka Tokyo. The Bassoon Fundamental class gives you a solid foundation for your bassoon playing. For anyone who is serious about developing a strong and solid bassoon technique and sound. Ole Kristian introduces the " Bassoon fundamentals " class and what you can expect taking this class. The bassoon is a big instrument and small adjustments to your posture have a big effect on your sound and general playing. This class is all about how to optimize the fundament for any wind player. How you breathe and blow properly and how adjustments can lead to big improvements in your playing. We all know that sound of a squeaking reed - but warming up only on the reed will quickly determine your problems and can be solved by simple changes. 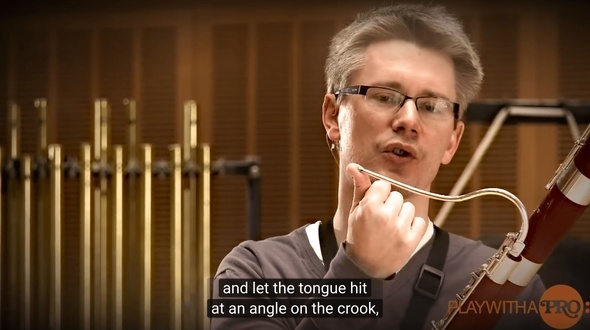 Ole Kristian shares his original ideas about how a flexible embouchure changes your playing. Intonation, sound and volume is all affected by how well your embouchure is built. How do you develop a flexible, open and rich sound? That´s what this lesson is about. Single-double and tripple tonguing and how to build these useful tools up in your own playing is what is covered in this lesson. Clumsy and slow fingers versus fast and agile and flexible technique. Everyone dreams about playing with a flawless technique and Ole Kristian is for sure one of the few with such a strong technique. You need to know how to play piano and soft in order to master the basson. Getting tips and tools to get there is what the final lesson is about. Perfect combination of inspiration and systematization! The first cannot without the second to get top results!!! Ole Kristian did it! His approach is not the only one to succeed, but it is a consistent, user-friendly one, given in a very friendly, helpful style! Great! This video got me really started after 10 years away from the bassoon. I am a guitar pedagogue myself, and I am able to recognize a pedagogue when I see him. Excellent! I am a bassoon student and i was very interested in Ole Kristian Dahls bassoon exercises. This video is really good and i learned so much from it. Thank you! The 'play with a pro' course was interesting and useful, especially for people without access to a teacher. The basic fundamentals covered all the important topics to get the player to improve habits. The order of presentation was well thought out. A solid warm up every day on your bassoon is essential for the rest of the day on your instrument. Ole Kristian shows you his own routine and shares great exercises with you of how to spend your time most efficiently before you start the day. Tools- exercises- tips and great advice for the serious bassoon player. Get the full class for free and learn how to prepare and practice one of the most famous bassoon excerpts – Tchaikovsky's 4th symphony.Ole Kristian Dahl is one of the world's most renowned bassoon teachers and pedagogues. 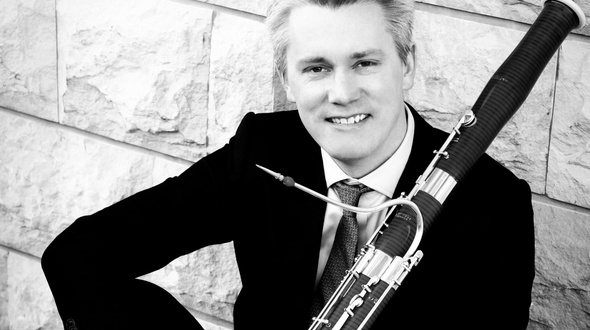 Ole Kristian is principal bassoon of the WDR Symphony Orchestra, Cologne, and professor in Mannheim. After many years of both performing and teaching, he now shares tips, ideas and insights that will help your playing and guide you through your daily practice. Get the free class of Ole Kristians bassoon tips on how to play the high note at the end of the Saint Saëns Sonata. Get the free class where Ole Kristian shows us an important trick to help you in the beginning of this tricky bassoon piece. Ole Kristian shows you in details how to prepare the Mozart Bassoon Concerto for an audition or concert. He shows the pitfalls where most people have troubles and shows methods and exercises of how to fix them and teaches you what it takes to play a clean- beautiful and personal Mozart Concerto. 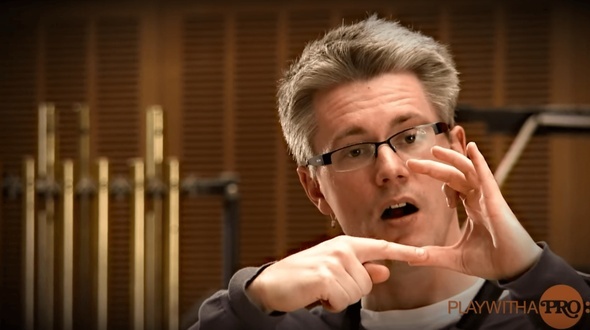 There is a good reason why Ole Kristian Dahl quickly has become one of Europe's most sought after bassoon teachers, since most of his students win major positions in the leading orchestras.See for yourself why, in this intense lesson and feel how your own bassoon playing will quickly improve. Get insight of how a master of his instrument thinks and how he approaches the art of bassoon playing. An intimate talk with an amazing musician from Norway who has taken it a step further and is breaking the sound barrier in the bassoon world. Ole Kristian Dahl is a true star on the bassoon and in this talk he tells everyone what he thinks it takes to reach this level and and what it takes to stay there. 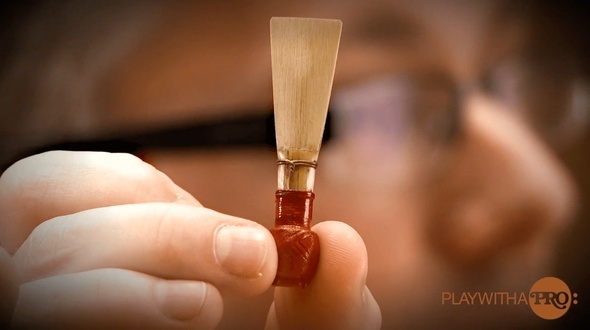 Get to know how Ole Kristian is treating his bassoon reeds and how he deals with them. Everyone knows how important a well balanced reed is, and there are endless small tips and workarounds to how you can optimize how the reed plays. Ole Kristian has made thousands of reeds and shares how he believes a healthy family of reeds should be treated and maintained. Dahl's Warm-up Program. A good daily warmup program that systematically goes through all the important parts of your playing is important if you are serious about bassoon playing. Ole Kristian shows you in details how to prepare the Mozart Bassoon Concerto for an audition or concert.